2) Backpack preparation ) - 5 volunteers needed (This task is open to current Schools of Hope tutors only. A total of 5 volunteers are needed. *Sort books according to reading levels using a spread sheet with small print. *Wear comfortable shoes - volunteers will be walking/standing for the entire project. A total of 2 volunteers are needed. 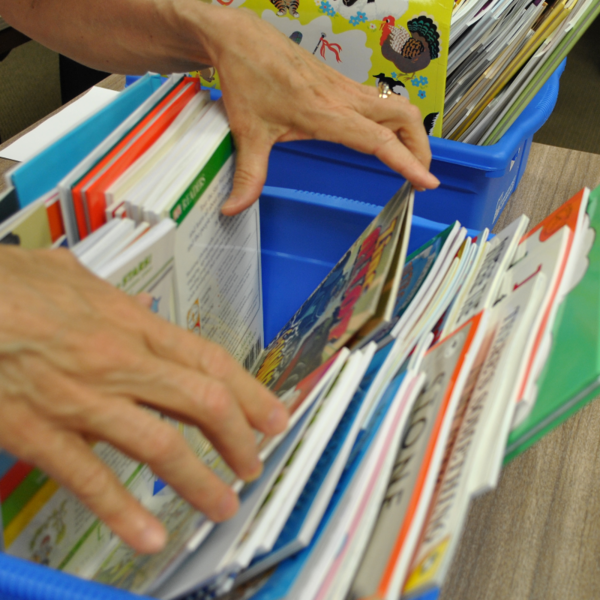 *Assemble literacy resources for families. Volunteers are able to sit for this project. A total of 5 volunteers are needed. Volunteers for this project must be a current active Schools of Hope tutor. *Use student reading level information to accurately select 10 books per child using a designated process. *Label and fill backpacks with student-specific resources and items. *Organize prepared backpacks by school and grade level. *Be able to read a spreadsheet and follow multi-step directions with accuracy. *Wear comfortable shoes - volunteers will walk/stand for the entire project. *Label and assemble gift bags for each teacher/school staff. *Organized completed bags by school. *Wear comfortable shoes - volunteers will stand/walk for the entire project. Log in to see who is volunteering for Schools of Hope end-of-year celebration preparation !